Crazy sock day over here. 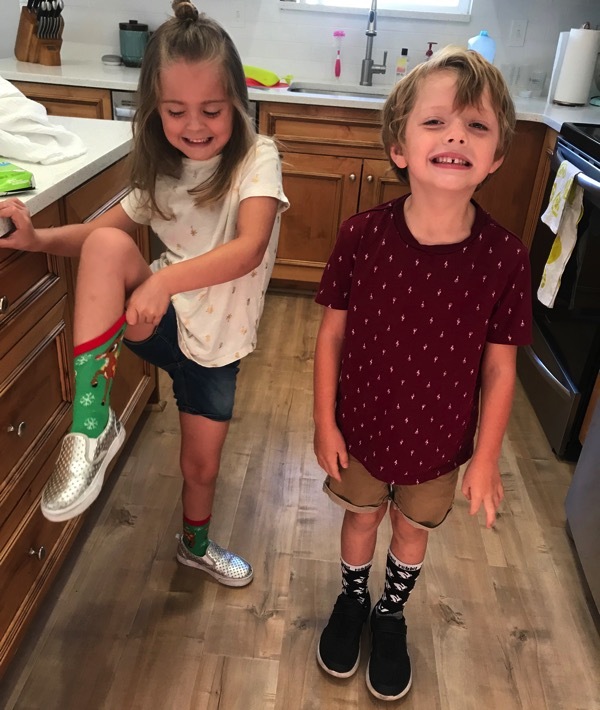 I remembered the morning of so Brooke wore her Rudolph socks (from when she was 3) and Knox wore my Rabbit socks. Skye likes to check out my stats when I get home from morning runs. 6 miles @ 8:49 average. I was talking to somebody the other day about this but I used to think that if I went over 55 miles in training—> I would get seriously injured. The reason I thought this, because it always happened before I started using coaches. I would go over that 50-55 mile range and boom.. something would happen that kept me out of running for a few days to a few months. But REALLY I am learning, I can go over 55 miles without getting injured. The difference now is that I really take my easy days easy. I could have gone faster yesterday but I had a hard workout the day before and my body was tired and I knew that I just needed to take it easy… so I did. Before I just tried to run every day medium/hard fast with zero easy days and now most of my days are easy with a medium fast run and a fast run or two throughout the week and it works out really well for me. Deena Kastor said that her coach always said (I think I heard this on a podcast and in her book)something like—> you can’t overtrain but you can under-rest/recover… so I think that plays a big part too. You can get your miles/intensity up there but you REALLY have to be serious about your recovery/nutrition too to stay injury free. PS I do think that little aches popping up are kind of part of marathon training (by the way, my plantar is back to normal, the boot did it’s magic). 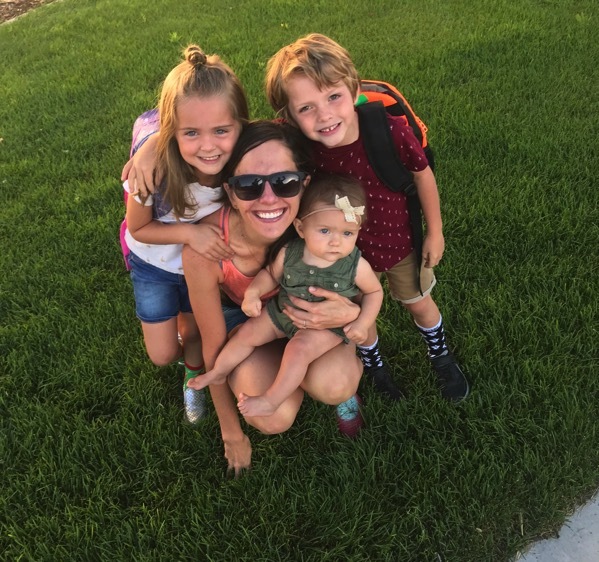 PPS I do think some of us are more injury prone than others… I’m just trying to say that taking my easy days truly easy has really helped me personally to increase my mileage. Andrew and I had a glamourous lunch together while Brooke and Knox were at school and Skye was napping. Salads out of a container. PS that is Andrew’s DC… I’ve stopped drinking it for awhile now. Skye is teething like crazy right now so she didn’t have her best day… I can’t imagine how painful teething must be. I had to laugh when I set her down on the grass to get my stroller out of the car because she refused to put her right leg onto the grass. She held it up like this for about two minutes… her core is stronger than mine. 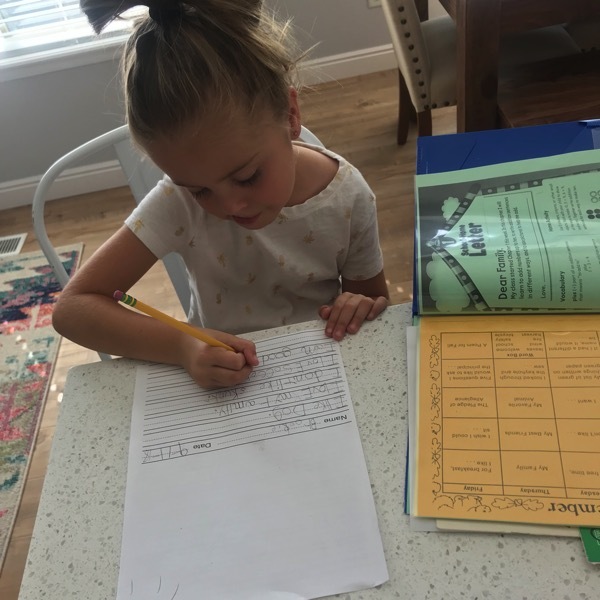 Daily homework for this girl now that she is in 1st grade. We partied at the soccer fields later on. Andrew brought dinner on his way to the fields. Red cheeks= the sign of a good day of chasing the ball everywhere. 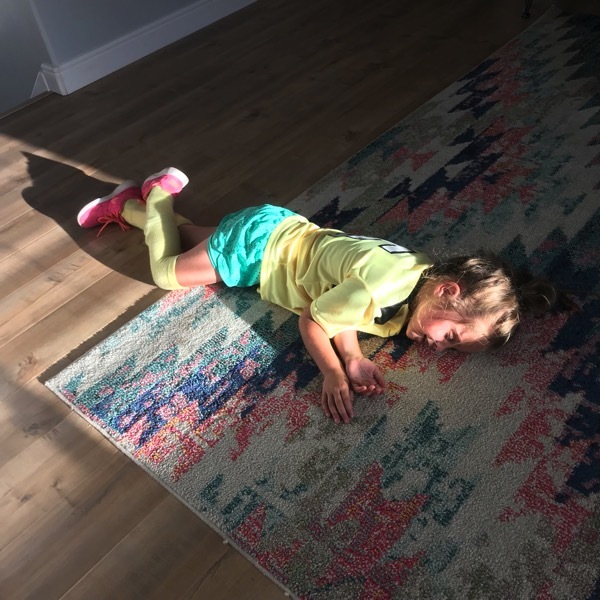 Brooke now understands the desire to hang out on the ground for a long time after a hard run (they must run at least a mile out there during her games… I’m going to have her wear my garmin one time;). This is my favorite thing to do after a hard workout. After my 22 miler on Saturday you can find me in this exact location for a few hours. Knox told me yesterday that he wants to get up early and go for a run with me and Brooke said she would rather stay in bed. To go along with our power bun discussion yesterday, I felt like this image below is more accurate than it should be for our house. WHERE DO THEY ALL DISAPPEAR TO?! 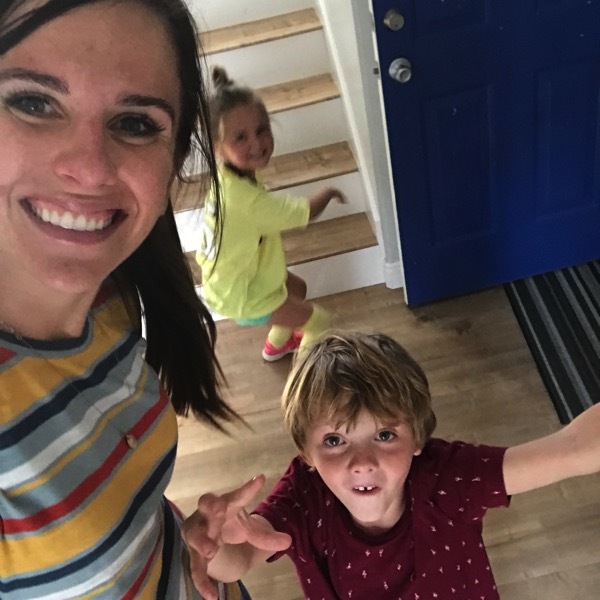 A random running picture below… There is a part in How Bad Do You Want It where they talk about Alissa McKaig who ran the US Olympic trials marathon in 2012 in 2:31:56 (which was a huge PR for her and she finished 8th). 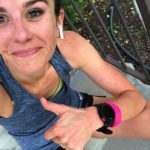 The book shared something that she did during the race to help her to keep pushing herself, “She reminded herself how much worse she would feel after the race if she backed off than she would feel during the remainder of the race if she kept pressing.” <— I’m going to use this on race day because I want to look back on my race and know I gave my best effort! Candy corn—> Terrible or a necessity! Does your face get red when you run? Are you a big sweater or glistener when you run? -Red face, my face/head doesn’t get super sweaty (hallelujah because I hate washing my hair) but I sweat a lot other than that. Do any of you get allergies at this time of year? -Mine have been kicking in and it is quite strange! What is something that you misplace often? -Hair bands, my phone and my sunglasses. 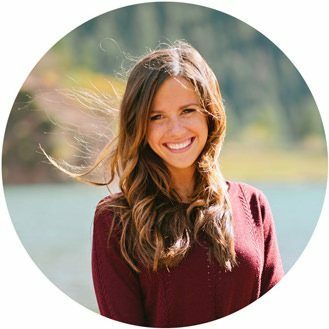 Are you a Runner with Disordered Eating? It isn’t easy. Robot Runners. Rather Fond. Okay, so I finished the book “The Brave Athlete: Calm the F***K Down.” I’d say that overall I DID get some good tips out of it, but I also skipped over some sections that just didn’t apply to me. Three big things that they suggested when things get tough are: Start counting–just count in your head to get your mind off of the hurt. I already have done that–it’s good. Then, using mindfulness techniques. And, finally, a technique that I”d never heard of before, but I used it yesterday during my 10 x 600 workout on my final rep. You take your hands and almost act like you’re holding a pen or a chip, and you click your thumbs and your index fingers together. It really did work, at least during that rep. I figure the more techniques we have in our tool box to deal with the pain cave, THE BETTER. They also said you should put yourself in as many “practice” situations as you can for those bigger painful situations and that comfort zones are just entirely imaginary. LIke an emotional plaster cast for a leg that’s not broken. A lot of truth there!!! Okay, that’s a lot of writing, but I knew you’d enjoy what the book said! 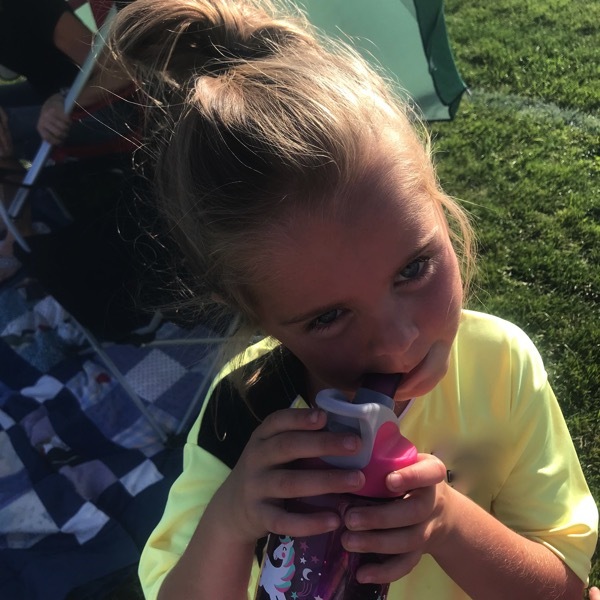 I just wanted to say, too, that I love the look of joy on Brooke’s face in that pic where she’s running with Knox at soccer–pure JOY! Jen, you are the best for letting me know about this book. I LOVE those tips and I will be trying out the clicking one on Saturday, THANK YOU. I love what you said about our tool box, you are dead on. Thank you for sharing this with me, it really helps. And you are so right… WHY NOT!?! You’ve got this Jen! 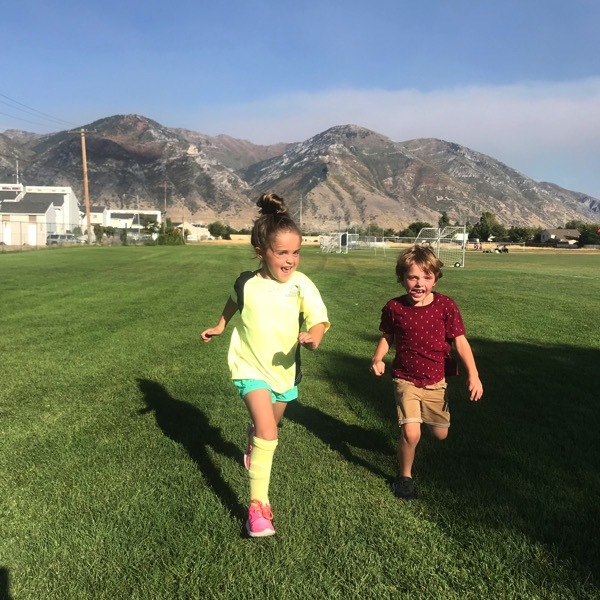 Those two are the definition of Run Happy! LOVE CANDY CORN. I am a big sweater, ha! Esp my head. Doesn’t that mean your body is good at regulating temp if you sweat a lot when exercising? I thought i read that somewhere. I am always misplacing hairbands and bobbypins! I sure thinks so! Thanks Loribeth and I need to send you some candy corn! Have a wonderful day! I love that quote and I will be using it on Saturday!! I am definitely hard on myself when I have a bad race, but if I can keep pushing I feel like I’m going to die at the time but really feel awesome at the finish!! My 8k on Saturday is a bridge run with a steep incline out and back, plus the humidity of South Mississippi. I will definitely be repeating to keep pushing. Oh and sweating, a lot of sweating will be happening. Lol!! Hair bands are just like that picture! They disappear often and I randomly find them in the strangest places. Lol! I am really rooting for your marathon! You have had an awesome training regimen and I just know you will rock it!! Okay, you are a rockstar for training and racing in that humidity. You are going to rock that bridge run and please let me know how it goes after! Thank you so much Mendy and I am rooting for YOU! I don’t sweat a lot on my face but I do everywhere else. I used to not be a big sweater but after having kids I am now. My allergies have been bothering me too. And I kept thinking my two youngest were just constantly getting sick, nope, they apparently have allergies too. We already knew that about my oldest. So Trevon is the only one not suffering from allergies, lucky guy. Also, just got back from an easy short run. Still a nope but better than before. I am glad it is feeling better… hopefully just a bit longer and you will be back to normal. What is with the allergies this year?! And another fire…. I used to do the same thing in my training and think that easy days weren’t allowed—and I had a few injuries that could have been avoided. But now I make sure to run easy (and I usually don’t even wear a watch on my easy days just to make sure I’m not even concerning myself with pace at all), and I haven’t had an injury in years (and I’m hoping it stays that way!!). Candy corn = no way. The taste and texture are a no-go for me. I misplace bobby pins ALL the time! I honestly have no idea where they all end up?! Have a great day, Janae! 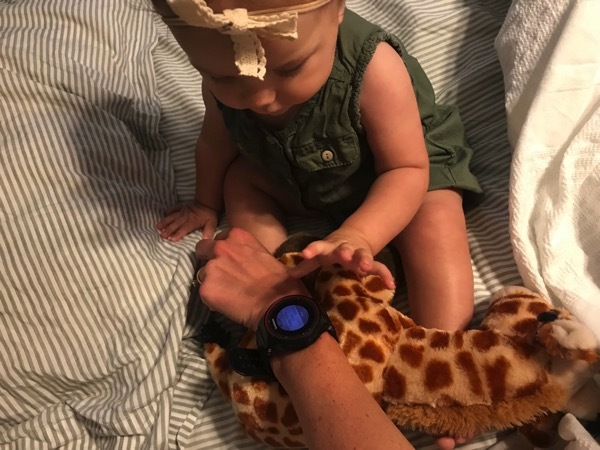 Oh that is a great idea to leave the watch at home for easy days, I love that and I am so glad you haven’t had an injury in a long time. I’ll eat your candy corn. Thanks Natalie, you too! Candy corn is soooooo good. I love to mix a bag with peanuts. Can’t beat the sweet and salty combo. 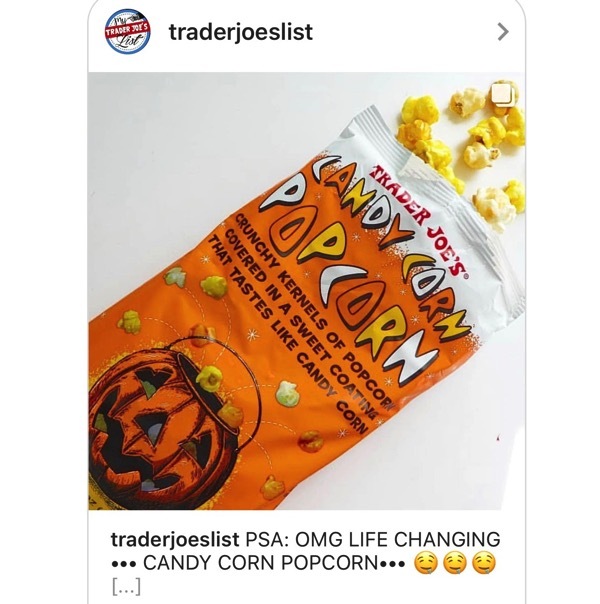 I need to road trip to Trader Joe’s to try that candy corn popcorn. My allergies usually kick in when they start to harvest the crops around us. I did read the mold has been bad this year. I don’t misplace many things but I am forgetful so I have like 10 reminders in my phone at all times. Hopefully I don’t misplace my phone! There is no better combination than candy corn and peanuts! HAHAH I am so forgetful too! I hope your day is a really good one, Corrinne and go get that popcorn! Okay, that is adorable. I need it. THANK YOU!! I don’t have a red face when I run, actually I think I look like a boiled egg I am so pale, but I sweat A LOT EVERYWHERE!! We are waiting for our spring rain, so it has been very windy these days whick means a lot of dust. I’m sneezing a lot and my son is in bed with sinus and bronchitis. The rain must come so that we can have summer and healthy kids. Boo to all of the wind… I hope that your son is able to get better asap and that you get plenty of rain soon. Have a wonderful day Almarie! My face doesn’t really get red unless it’s SUPER hot. But I also don’t blush like at all? I do, however, sweat. I am a sweaty mess when I finish a run – it’s not cute. I usually get allergies pretty bad but this year I was well-prepared with my regular daily allergy meds and extra stuff this time of year and so far, so good! I misplace my keys a lot. It’s very frustrating in the mornings when I want to get to work! I am SO glad that you were able to skip over allergies this year. Yep, the keys are always missing too. I hope you get your 5 pieces soon (and send the rest to me;). Have a wonderful day! So glad you posted that quote from Deena – I needed to be reminded of that today so that I keep my easy day truly EASY! I rocked my 400m workout yesterday – great confidence boost going into Chicago in a few weeks – and need to respect that my body needs to recover. Can you believe our races are just around the corner?? That candy corn popcorn from TJ’s…OMG. I need that in my life. 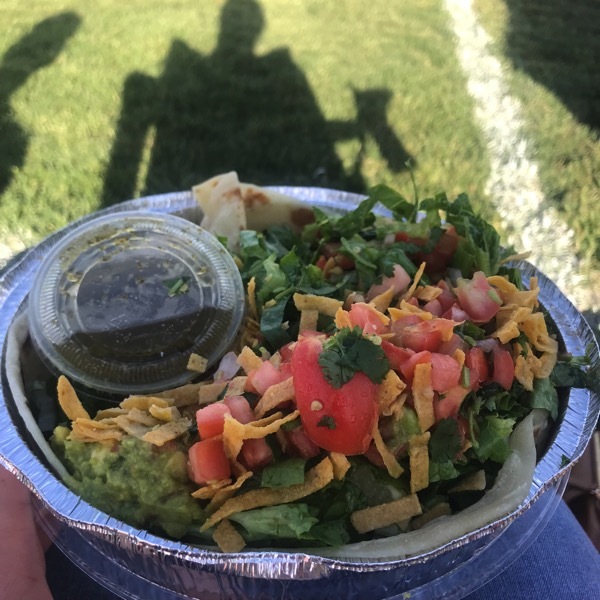 I have been dreaming about food…that’s marathon training for you! GIRL!! I was thinking about you and training for Chicago the other day… you are going to do amazing and we should go for a run after and talk all about race day. Way to go on those 400s… those are SO HARD. Hahaha I am having those dreams too. I eat about 12 meals a day right now. Have a wonderful day and recover well! Candy corn is #1 in my heart! I can’t have dairy so it is one of my favorites. I hope you have some SOON. Do you ever combine your candy corn with peanuts? It is life changing. I LOVE candy corn and look forward to it at the end of every summer! YAY!!! I hope you get some soon and try combining it with peanuts (if you haven’t already)… they are even better. Have a beautiful day Jessica! I like candy corn, but prefer those little pumpkins that taste the same way. Can’t wait to try the TJ’s popcorn! After a hard workout (spin class is the worst) I wind up with serious tomato face for at least half an hour. So embarassing! The pumpkins are delicious too, I hope you get some soon. YES… I am right there with you with tomato face and spin used to be the worst for me too! It’s probably because we aren’t moving since we are on the bike inside and we don’t have the wind to cool us down. I hope your day is fantastic! My little one (born the same day as Skye) is teething too. It’s so miserable. The nights have been rough! Hang in there mama! Same day… I LOVE THIS!! Thanks for the encouragement, it is hard! I feel so bad for her and she is back to waking up so often during the night. Hopefully both of our kids start feeling better asap! Heading to Trader Joe’s today to get that popcorn! I would rather have that than the actual candy corn. My son just bought a bag of mini candy corns. Have you seen It? They are so cute! Ha! I turn red And sweat so bad! These warm, humid days leave me soaked from head to toe! I would stink if I didn’t wash my hair daily. You are lucky you don’t have to! Let me know what you think! I have not seen those… where did he get them? I need them! I really am lucky because I HATE washing my hair. Have a wonderful day Lindsey and I hope that the humidity and heat calm down soon! Bobby pins and elastics disappear at my house! Candy corn is a must for me. We got snow here last night (Canada) and I am so not ready to bust out the winter running gear yet! SNOW… AHHHHH WHAT?!! How did these warm months pass by so quickly?! Good luck and I hope you have some candy corn soon! I LOVE candy corn. I was very tempted to buy some yesterday but I’m holding out until October. I sweat through my scalp, which is awful. So I always wear a headband to keep the sweat from dripping down my face. I made the mistake of wearing a thin one during Spin class – it didn’t stop the sweat! My face also gets red when I workout. I try to avoid looking in a mirror for a while afterwards! 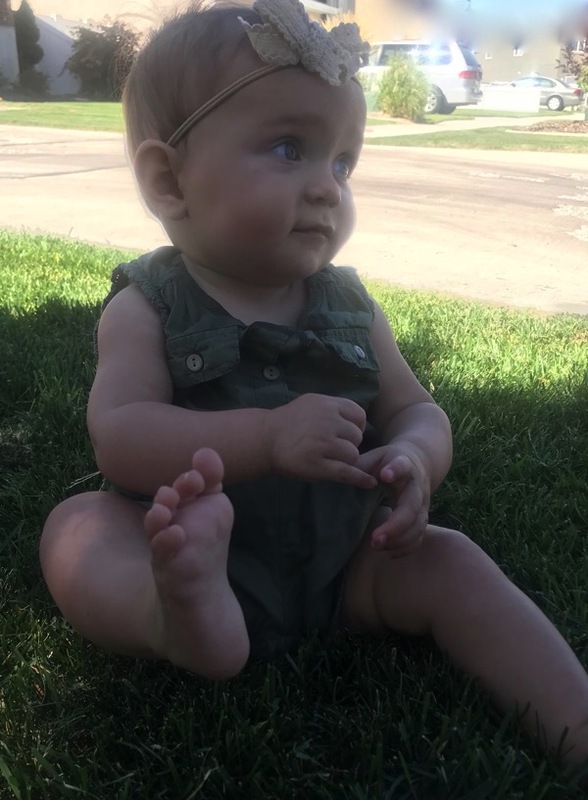 I say go for it now:) I’m glad that you have found that headbands help so much. I used to always get sweat in my eyeballs during spin too, spin makes me way sweatier than running! I get red-faced when I run (or exercise) and my hands swell like crazy, but I don’t start really sweating until after I stop. Weird, huh? Truest story ever about hair ties. And bobby pins too! :) I lose those, my keys IN my purse while I’m out, and my phone tends to wander away a lot too. Great tips on avoiding under-resting. Thank you. So true though, right? Our bodies work hard for us all day (not just during workouts) and they need time to recover so they can keep going. Great reminder, Janae. Happy Thursday! If you get it, let me know what you think and grab some candy corn asap! Okay, sometimes that totally happens to me too especially when it is really hot. The second I stop, it is like a flood. Thanks Michelle and I hope your day is great! I’m one of the weird people that like candy corn. So bring on all the candy corn flavored things. Both I and my daughter get red cheecked when we run around. Hers is more pronounced than mine. I sweat but its more on the back of my neck and back than anywhere else. I have a certain spot for everything and will always put things back in those spots so that I will not lose them. If they get moved I get flustered. We should create a candy corn lovers club. Oh yes, the back of my neck sweats pretty bad too. Help me with the certain spot thing:) Have a wonderful day Rachel! I just have to say – you live in one of the most majestic states in the US. I look at the scenery in your pics and think “That’s what they get to look at while watching kids play soccer? 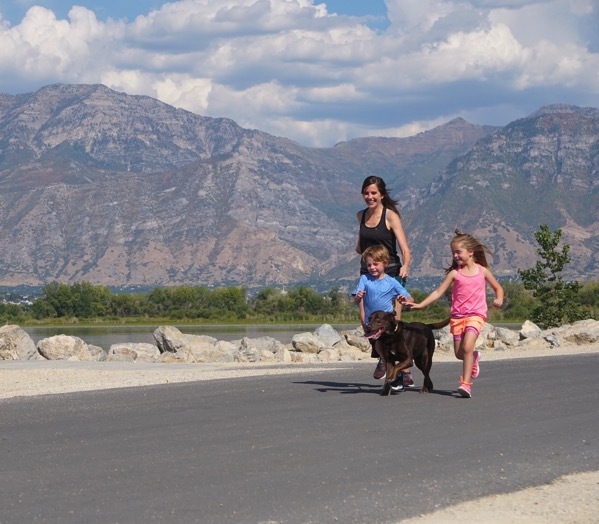 !” Having grown up in Utah, has it become mostly commonplace for you, or do you still marvel at what surrounds you? PS – I’ve never been further west than Minnesota – my husband and I are hoping to take our girls out there someday. COME VISIT UTAH!! 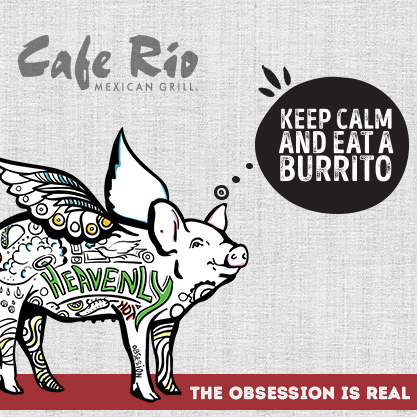 I’ll take you for Cafe Rio :) It’s crazy because sometimes I do just forget that it isn’t normal to have these mountains but many times they catch me and I’m in awe all over again. When I moved back home I remember telling myself I would never move from these mountains again because of how much I love them! Thanks Amanda and seriously, come visit! Gosh, my face gets so red when I run its ridiculous…and stays that red forever. Haha. Also, my allergies have been super bothering me lately and actually making my skin and eyes itchy which is new and really awful. So I’m ready for winter, haha. Umm…about the hair band thing. 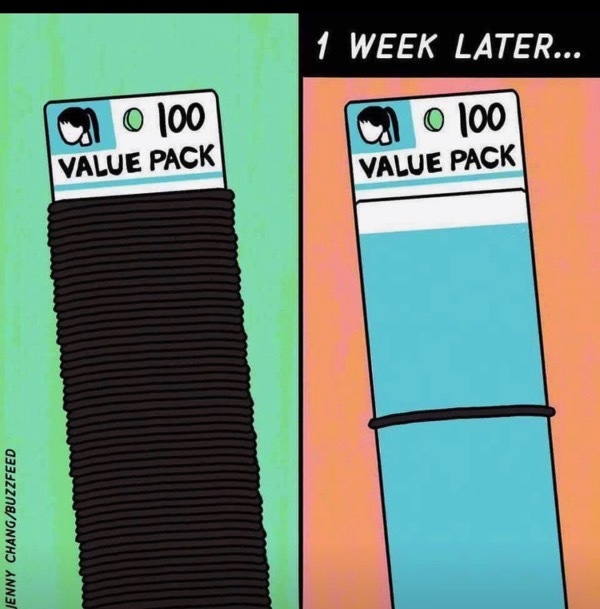 How is it that somehow we lose every single hair band in a pack but two, but then we can keep the last two forever like they are an expensive bracelet lol. I dont know if this is just me….but my whole pack disappears and then I keep the last two for seriously like a year. Okay, YES… I think we are on our last 4 right now and I’ve been keeping them safe because heaven forbid I go to the store just to buy hair bands. You are so right! Good luck with your allergies and have a wonderful day Eleanor! My phone tends to go “missing” more than anything else. I finally trained myself to hang my keys in their designated spot, but I don’t have such a thing for my phone. Glad to read yesterday that your brother’s surgery went well! Have a great day! My phone does too and I keep it on silent all day so I can’t just call it to find it ha. Good call on hanging your keys, we need to try that out! I hope you get some candy corn soon and thank you so much! Oh my Skye with her foot. She is adorable! That is really funny. Thank you:) I hope you have a wonderful day Christine! Spring allergies, fall not really. I am forever losing my phone – and my partner keeps laughing at me :). I turn around – and I’m like, where is my phone?! Usually slipped under something, lost in my giant bag, etc. Not a big fan of candy corn…but of candy yes. (preferably red licorice, fuzzy peaches and gummies) – working on not eating so much candy..
And yes, I go beet red :). I do get um sweaty. Spring allergies are the worst! Hahaha yes those phones are so easy to lose! All of those candies sound perfect right now. I hope your day is great too Kristine! You eat soooo many salads…if I ran as much as you I’d need wayyy more substance! Plus I’d be sooo sick of salads! 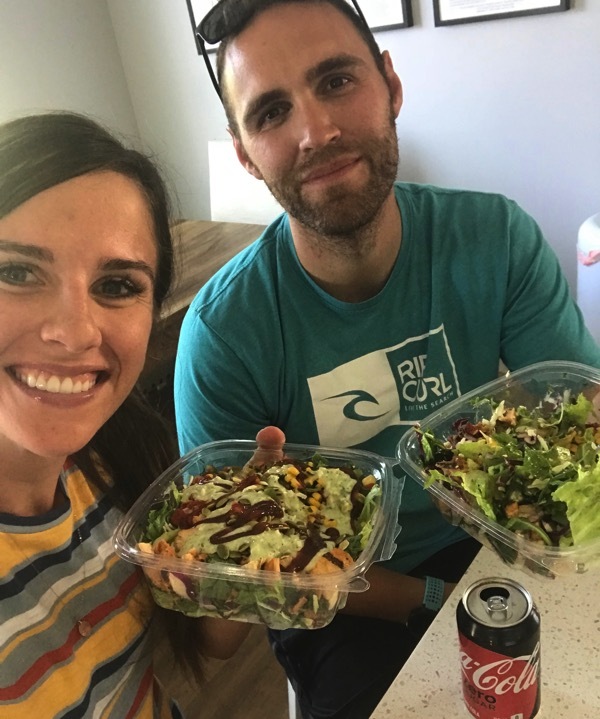 The last two days I have because they have sounded really fresh and delicious but I actually don’t eat that many salads anymore:) And that salad from Cafe Rio is over a thousand calories so it definitely has a lot of substance and I eat the entire thing! Don’t you worry, I am paying close attention to make sure I get in plenty of calories and nutrients each day! Have a great day! OK so I am Greek. It’s my job to feed people and to sweat. You’ve seen me push food and recipe recommendations on you, but I can’t send my sweat from Atlanta to Utah, so you’ll have to trust me that unless it’s a restorative yoga class in an air conditioned room, THE SWEAT IS REAL. So many ‘sweat angels’ everywhere I go that it’s more like Human Niagara Falls Syndrome. That should be a medical thing. Candy corn–in THEORY I love it. But since I’m allergic to honey and to high fructose corn syrup I can’t ever have any of the candy corn options that are on the market. I can’t even try that popcorn that sounds amazing because–well–CORN. Womp womp. I save my “will eat corn anyway” for corn tortilla chips at the tex mex restaurant…with ALL THE QUESO (of course). Such a sweet photo of Skye…my face does get super red after a hard run. I love what she said about backing off or pressing in…I always say to myself during a race am I going to sit or stand? Because there is always a moment when you have to chose to keep pressing on even when everything in you says to “sit.” No matter what pace we are, we all have that choice. Yes to red face (and oh my sweaty betty) whenever I work out indoors. Yes to allergies (first time I’ve had them in Fall that I can remember, strange) and yes to the hair ties! I swear they are hanging out with all my single socks, where do they go???? I love candy corn. During the fall I keep it in my classroom as little treats for random things. Even my seniors get excited about it. My face gets red occasionally but I sweat a lot…Memphis heat/humidity is no joke so I definitely sweat. I’m okay with sweating because it means I’m hydrated. When I stop sweating and start getting chills, I know I didn’t drink enough leading up to my run. I always lose bobby pins. I’ve bought a million and currently have 10 in my drawer! I am a sweater, red faced, sweat all the places! I wear a headband that helps and won’t run without it…also because I can’t stand hair in my face! I do something very similar to the power bun! Love it. Candy Corn is a no go for me. Give me CHOCOLATE! Also, your information on take the easy days easy is speak in directly to my heart right now. I am training for a ten Mile race on October 7…and this past Sunday on my long run I am quite certain I strained my hamstring. I am not good at taking the easy days easy…even if the little voice in my head says to do it…running is just a great stress relief for me and taking it easy is hard😁. So it is all tightened up. Booooo. Working on stretching, foam rolling, stretching, and taking a few days off and hoping it comes back. If you have any great advice, I would gladly take it! 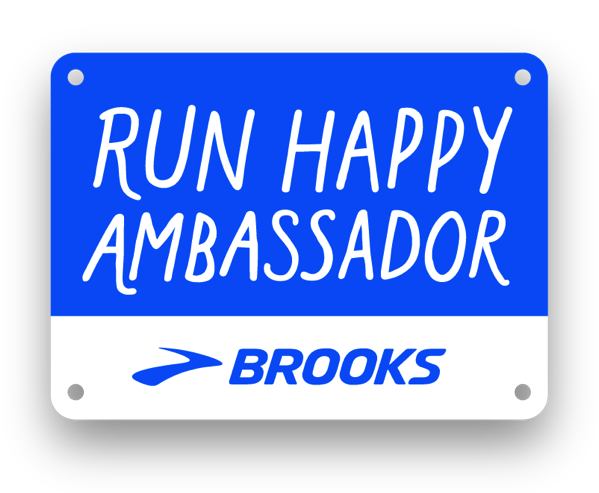 So excited to hear about your race…you are going to rock it! HEY KATIE!!! I am so so sorry about your hamstring… I hope it heals up as soon as possible! Please keep me updated on how you are doing. I think those things will get you back to running soon. You are going to rock that 10 mile race and yes, take those easy days EASY! You’ve got this! Also, I lose my keys all the time. It’s a curse. Hair ties are a tribute to the running god, I figure. I leave them all over. yes the face gets red when i run, but as soon as i stop, disappears. lately we have had 100% humidity, so i’d say i’m not just a sweater/glistener, but there is liquid pouring down my face from every orifice. misplace the phone all the time! Right now I am running with my xc team (sort of, as I’m coming back from an injury) but most days it’s 90+ degrees, so there is a lot of red face and sweating happening! Ugh, I misplace my keys and chapstick all of the time! And I’m pretty sure I’ve lost my mail keys at least a 1/2 dozen times! Oh my goodness the MOUNTAINS in all of your pictures just amaze me. What cool running views! Candy corn—> a necessity. The pumpkins are the best though. I only sweat out of my head. It is quite unfortunate. It makes for not so glam hair… I have perfected the french braid though so I don’t have to wash my hair everyday ha! No allergies yet.. sometimes when the leaves begin to fall I get this weird cough. But that only happens when I go for long runs outside. I think I make my husband call my phone daily. I never know where I leave that dang thing! Good luck on your long run!! I do NOT like regular candy corn at all … NOW if you give me the mallow creme pumpkins I will sit there and EAT the entire bag. Which of course is a BAD idea. I saw someone else commenting on your eats and honestly I think it would be interesting to see what you eat during a day while training. Then you might be able to put to rest some of the questions your get about nourishing yourself while you train. Do you mind me asking why you gave up the diet coke?? I don’t drink soda BUT I do drink iced coffee AND walmart brand flavored sparkling waters!